With the NFL quickly becoming a pass-heavy league, the roles of “elite” running backs seem to be fading, but fortunately that won’t be the case for the five players below in 2016. Not only are these running backs utilized in a big way in their team’s offensive game plan, but the bulk of them can also catch passes out of the backfield as well. Regardless of how the ball gets into their hands, they are each capable of doing huge things when it does. While the five names below are all poised for huge seasons, you’ll also notice one or two names who flew a little under the radar by not making this list. Let’s kick it off with a player who’ll be stepping into the spotlight for a full-time starting gig. While Rawls started his fair share of games last season, he didn’t get the full year as the No. 1 guy in Seattle, as Marshawn Lynch was still playing and Rawls suffered his own injury late in the year. 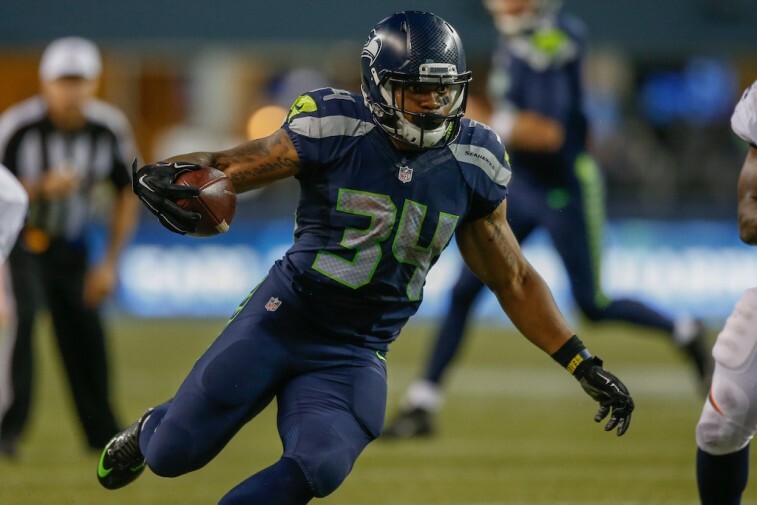 With that being said, we still got to see Rawls tally double-digit carries six times, and finish the season up with 147 carries for 830 yards and four touchdowns. He wasn’t a massive part of the passing attack, catching just nine balls for 76 yards and a score, but he proved he can do it when called upon. Either way, Rawls is poised to be one of the more dangerous and intriguing running backs in 2016. Johnson gets the nod over Rawls for one reason. His ability to catch passes out of the backfield is stellar, and his playmaking potential as a receiver bumps him just a bit above Rawls. Johnson was also in a situation in 2015 where he wasn’t the featured back for the bulk of the season, and only saw double-digit carries in four games. Regardless, Johnson still finished up the year with 581 rushing yards, 457 receiving yards, and 12 combined touchdowns. 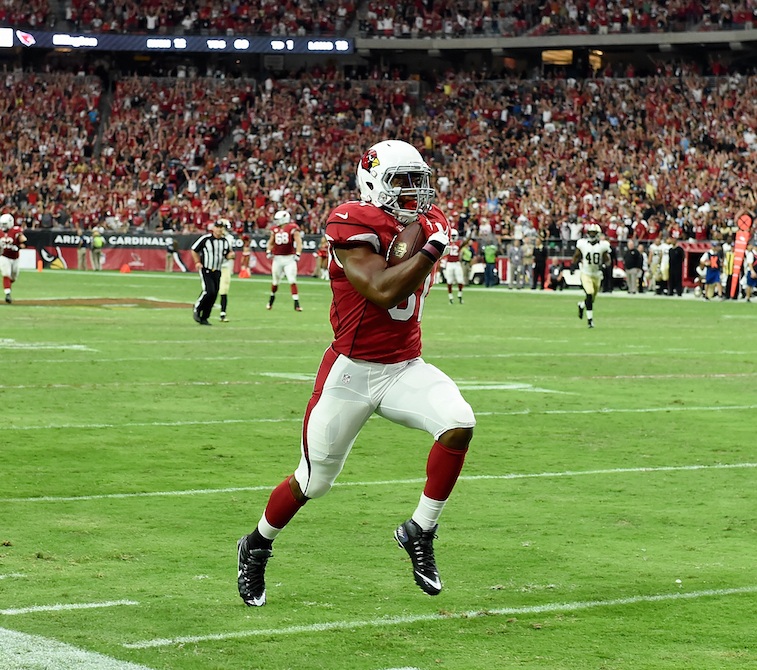 He has massive upside, and in an offense where Carson Palmer and Arizona’s talented group of wide receivers will help to ease the pressure, expect Johnson to have a huge 2016 season. While it’s actually pretty bold to predict Bell as a top-three running back after the brutal knee injury he suffered in 2015, we’ve seen quite a few running backs bounce back in a big way after injuries. For Bell, we expect a big 2016 season. Bell played in just six games last season, but still managed 556 rushing yards, 136 receiving yards, and three touchdowns. His yard-per-carry average was 4.9, proving that he can shred through defenses without much of an issue at all. Bell is one of the most well-rounded backs in the NFL as well, and his 2014 season proves that, as he had over 2,000 combined rushing and receiving yards, with 11 total touchdowns. Yes, we’re predicting “All Day” to finish in the No. 2 spot this season. While Peterson led the league in rushing yards last season with 1,485 while scoring 11 touchdowns, we expect the man at No. 1 on this list to give him a run for his money and actually take down the rushing title. Peterson will still have a massive year, and as he’s done every year that he’s played (except for 2014, when he played one game), he’ll also top the double-digit touchdown mark. 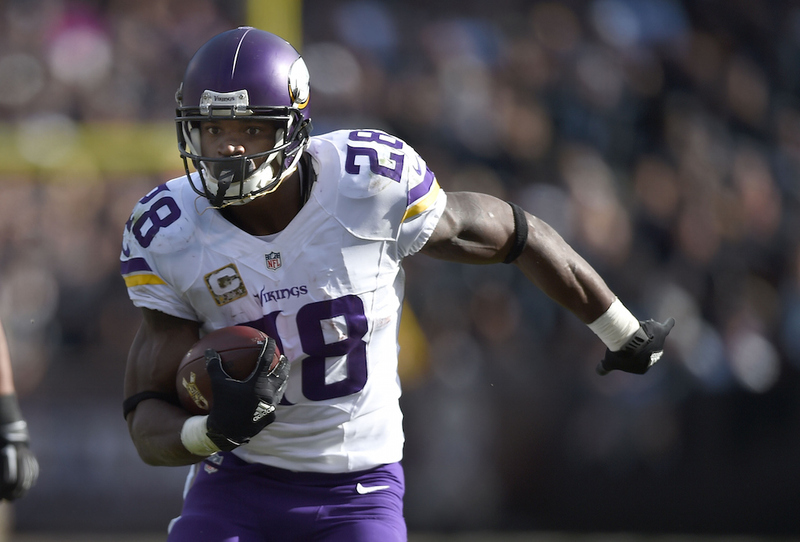 Peterson is the man in Minnesota still, and even at the age of 31, next season will continue his incredible career. Gurley burst onto the scene in 2015 in a big way, rushing for 1,106 yards and 10 touchdowns in just 13 games. With Gurley having a full year in the NFL under his belt, as well as being able to play in the full 16 games next season, expect him to light it up in Los Angeles. Gurley will not only win the rushing title next year, but he’ll also score between 13 and 15 touchdowns as well. While we saw a bit of his ability to catch the ball out of the backfield last year (21 receptions for 188 yards), expect to see a little more of that also. Gurley will be utilized in every way possible in this offense, and at times he may wind up just putting the Rams on his back. Statistics courtesy of ESPN.com and Pro-Football-Reference.com.